Music, they say, brings people together — it’s now also bringing companies together. Jio Music has just merged with Saavn to create a giant $1 billion music streaming behemoth. The financials behind the deal are complex — Reliance, which owns Jio Music, has acquired a partial stake from Saavn’s existing shareholders for $104 million. The deal values JioMusic itself at $670 million, and Reliance will also invest an additional $100 million into the combined entity. The two companies together will be worth over a billion dollars. 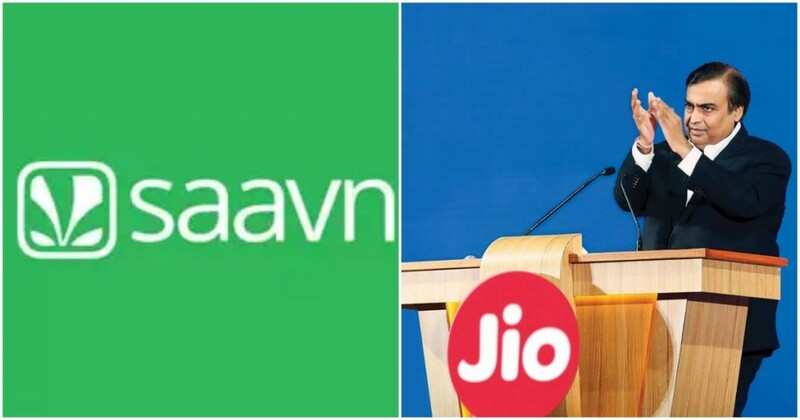 The move will bring together two of the biggest players in the space in India, and combine the streaming media expertise of Saavn with the connectivity and digital ecosystem of Jio.“The integrated business will be developed into a media platform of the future with global reach, cross-border original content, an independent artist marketplace, consolidated data and one of the largest mobile advertising mediums,” Jio said in a statement. Saavn had had a journey that couldn’t have been more different from Jio’s — it had been founded in 2006 as a small startup, and initially distributed Bollywood content in North America as a B2B offering. The company had later shifted its focus to become a music destination for fans of Bollywood and other Indic music in 2009, and had relaunchedits flagship product, Saavn.com, to become a B2C offering. Starting November 2016, Saavn started moving to a paid only model in all countries except India, initially offering listening for free for 30 days and after that a monthly subscription fee of $4.99. The three co-founders of Saavn, Rishi Malhotra, Paramdeep Singh and Vinodh Bhat, who’ve been with the company since its inception, will continue in their leadership roles after the Jio Music merger, and drive growth of the combined entity. India’s music streaming space hadn’t always been the most active sector in the recent past, but has seen a flurry of activity over the last few weeks. On 28th February, Gaana.com had raised Rs. 750 crore in a funding round led by Chinese giant Tencent. The very same day, Amazon Prime Music had launched in India. A few weeks later, Spotify had announced that it was also looking to launch in the country. And India’s music streaming space is hot probably with good reason. Since Jio’s launch in 2016, data prices in India have plummeted, and that’s made online music streaming a lot more viable than before for the average consumer. As global players like Amazon Prime Music and Spotify have spotted an opportunity to grow, Indian players have scrambled to more effectively compete — Gaana.com has brought Tencent onboard, and Saavn and JioMusic have decided to merge. It’s unclear where this heightened activity will lead, but it’s likely to benefit the end consumer — with so many players now vying for their attention, there’s probably never been a better time to be a music aficionado in India.